Recently I was asked if I could identify the Arms displayed outside The Warrington Hotel in Maida Vale. 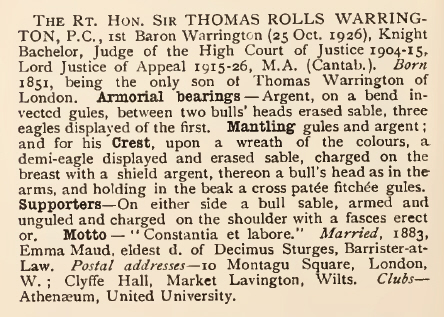 The Supplement in Burke’s General Armory and the Harleian Society’s Grantees of Arms showed that, Thomas Warrington, the father of Thomas Rolls Warrington was granted Arms in 1882. Presumably the son petitioned for supporters when he was ennobled in 1926. Lord Warrington died without issue and he was the only son of his father. Thus his only sister would be the heraldic heiress to her father’s Arms. With regard to the question “What is the connection between Lord Warrington and the Warrington Hotel?”. I can only surmise, there is none. Both father and son lived elsewhere in London. 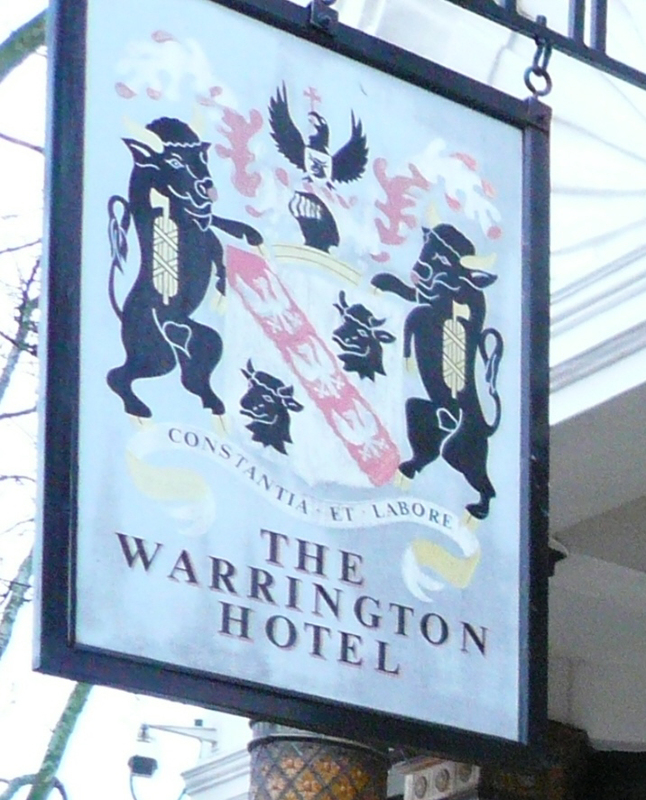 I presume that when the hotel renewed the sign hanging outside they selected the most “interesting” Arms for the name Warrington. Incidentally, last week I was researching the family tree of an old friend and Lord Warrington appeared as the husband of my friend’s 1st cousin three times removed.